Las Vegas is home to the UFC and people here love MMA of all kinds. The casinos don’t show pay per view fights (boxing or UFC) so you can’t watch these fights in a sportsbook. 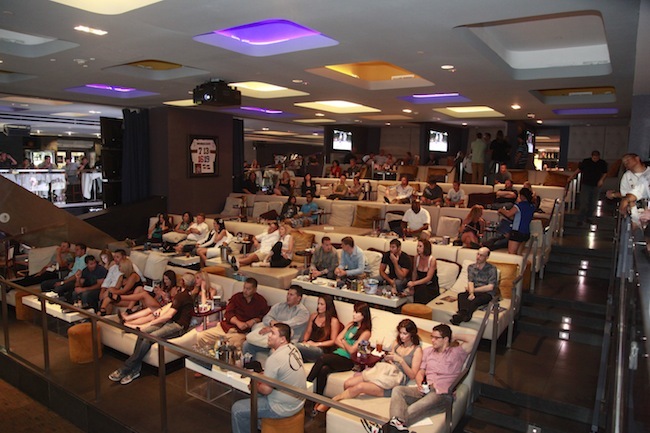 Since Station Casinos owns part of the UFC they throw viewing parties at some of their casinos for each Pay Per View. The casinos are different for each pay per view. Here are their parties for the UFC fights this weekend. The below parties have doors at 5 p.m., $10 cover and are 21 years or older. Wildfire Valley View will also host a free viewing party in its lounge area. 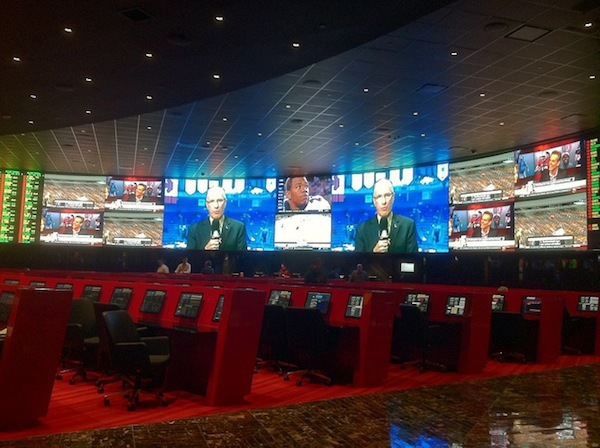 You can usually watch the preliminary fights in the sportsbook. Station Casinos cannot take bets on UFC because of their partnership. If you want to bet UFC fights you might want to load up a William Hill or Cantor Gaming account. Las Vegas is home to the UFC and people here looooove MMA of all kinds. The casinos don’t show pay per view fights (boxing or UFC) so you can’t watch these fights in a sportsbook. Betting on sports probably makes up the majority of my gaming. I usually play video poker, craps and blackjack when I’m in a casino but with apps from William Hill and Station Casinos (I don’t bet with Cantor Gaming) I can bet on sports anywhere and I do. 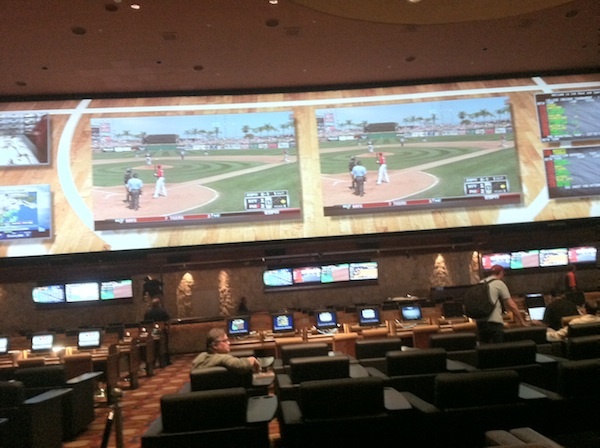 Baseball is my game of choice when I’m at the sportsbook. I’ve loved baseball for my whole life. I play multiple games a week, in part, because it’s nice having a little action while I’m watching the games. When football season gets here I’ll be playing college and pro and when the NBA season kicks off I’ll play that. All of these sports give me a major sport, that I enjoy, to wager on all year around. I step outside of the sports that I like every now and again when there are major events that I know I’ll be reading about and be curious to watch. I’ll wager on March Madness, Daytona 500 and some of the major Golf tournaments throughout the year. This year I bet on Jason Day to win The Masters. He hung around for the entire tournament and forced me to watch the whole tournament before finally losing. I had a bet on Graeme McDowell to win The British Open and he was out before the first day was even over. Losing stinks but I was able to enjoy my weekend. 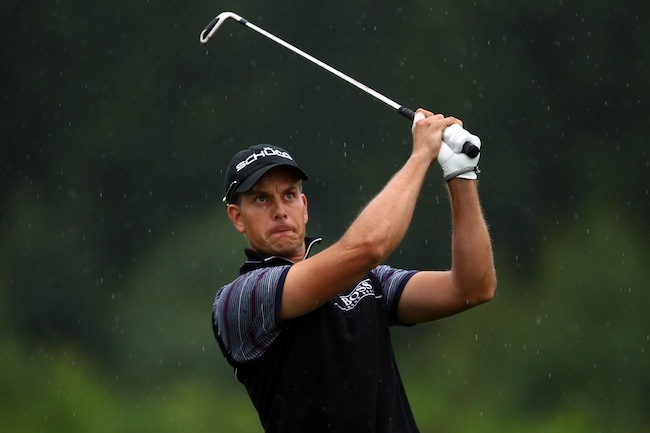 Last weekend, at the PGA Championship, I had Henrik Stenson (25-1) and he made me miserable. I couldn’t turn away from the tournament but I couldn’t watch it because I didn’t really care about anything but my bet. He was in and out of contention all weekend making me curious enough to stay near a TV so I could always keep an eye on the bet. The odds for most of these players are somewhere between 20-1 and 50-1 so there is potential to collect a nice win on the line. I used to play golf pretty often but haven’t played in a while. At this rate I’m not sure I’ll pick up the sticks any time soon. The longer it is since the last time I played golf the less interested in watching the pro game I am. Still, I have a little curiosity about gambling on these tournaments because it’s nice to hit a relatively long shot regardless of my enjoyment watching the game. Betting on golf can be awful because of that. If my player has an awful first day or two then I have no hope to win my bet. If the player does well I’m stuck watching. Wagering on golf a lose-lose proposition – especially because I can’t pick a winner. Betting on golf can be great for some people who enjoy the game because you can spend 4 days in a sportsbook rooting for a $5 bet which may pay as much as $500. I’m not one of those people and I think I’m done betting on golf…until the next time I can bet on Jason Day at 20-1. Damn, I think I’m already back. 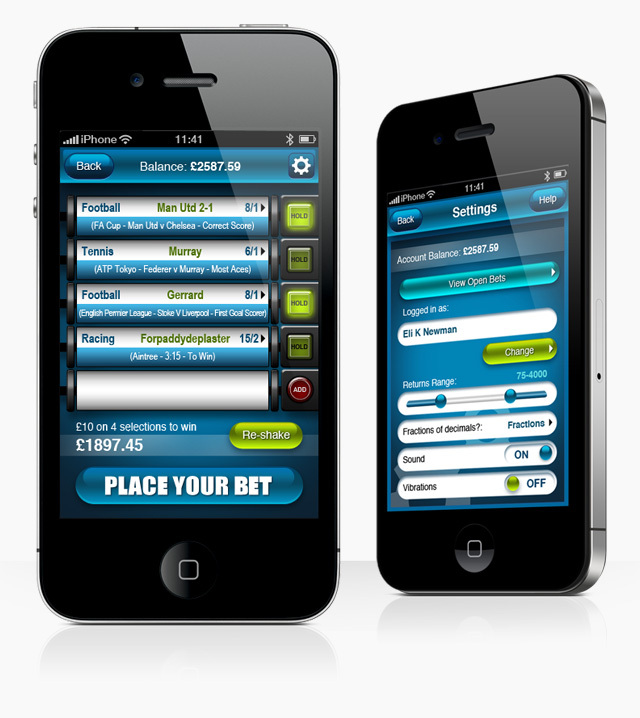 Mobile gaming is just beginning and sports bettors in the United Kingdom are leading the way. Over 4% of iPhone users have a sports betting app on their phone. In December 2012, comScore estimated that there were 8.65m active iPhone users in the UK. If that figure has stayed constant, based on Onavo’s 4.3% figure, it would mean around 372k Brits are using sports betting apps on their iPhones. Rosen says that companies in the US are watching the UK closely, since it’s one of the most established mobile gambling markets in the world, ahead of what they hope will be legislation to make real-money gambling legal on mobile phones across the US. William Hill leads the way with app use in the UK with more than 1/3rd of those sports betting apps in use being theirs. 38% of sports betting apps in use belong to William Hill. People with the William Hill app use it about 4 times a month. That’s second behind Bet 365 whose app is used over 5 times a month. I’m not sure this is 100% applicable but if you translated these numbers to the population of Nevada (2 million in NV vs. 63 mm in UK) there would be about 11,000 mobile sports bettors between the William Hill, Cantor Gaming and Station Casinos sports betting apps. They’d be making somewhere between 40,000 and 50,000 wagers per month coming from iPhones alone. With mobile gaming and mobile sports betting still in its infancy I think those 3 companies in the US would be satisfied with those results. As the legality of online gaming expands so will that number and these companies will be the leaders. Sports betting kiosks by William Hill and Cantor Gaming are getting the boot from bars across Nevada. While there are some negatives to kiosks getting banned this it’s not really a big deal for business. (Joe Asher, CEO of William Hill Corp.) argues that only $600,000 of the $170 million won in sports pools came in these small businesses. That’s one-third of 1 percent, he says. I didn’t think that the sports betting kiosks were big money makers but that’s much less revenue generated then I expected. I always viewed the kiosks as more of a place holder until every sports bettor in Nevada has a smart phone with a sports betting app from their favorite casino or sportsbook operator. That time isn’t too far off. We’re on the cusp of a mobile gaming revolution as sports betting expands and poker becomes legal again. Slot machine and video poker games won’t be far behind. 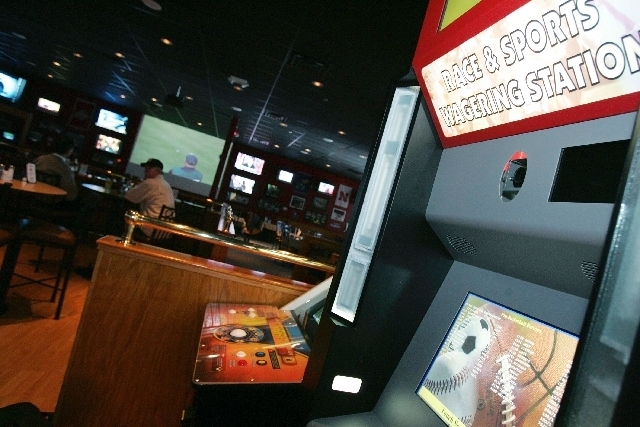 The kiosks being banned by government should help expedite the move to mobile by bettors. I mentioned that there is something negative here and it’s simply that major casino corporations have a stronghold on the Nevada government. You know, like every other major group of businesses. Station Casinos isn’t in the kiosk game and fought strongly against the kiosks. Any traditional casino operator would likely fight against any gaming that keeps people out of their casino. I don’t think that the sportsbook operators fought too hard here. 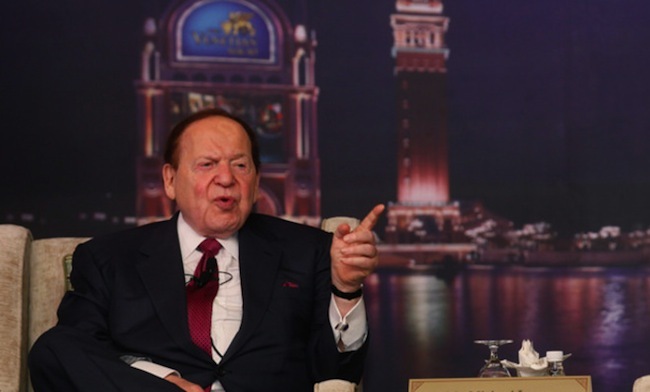 After all, “it’s only one-third of one percent” of sports betting win. Their words, not mine. First William Hill added The D to their growing list of sportsbooks in Las Vegas. 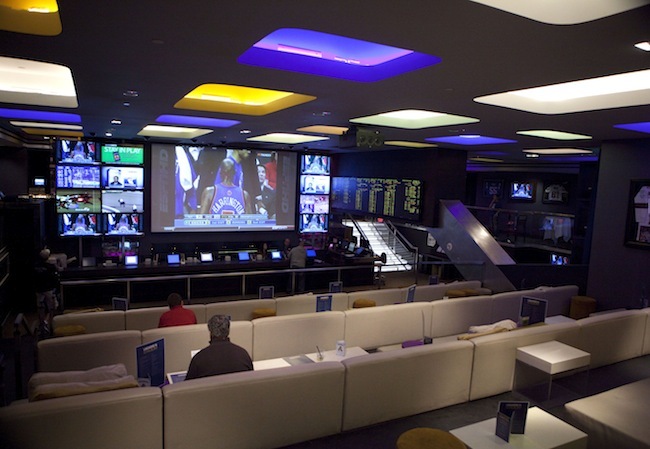 Then William Hill added the huge sportsbook at The Plaza (see pics and review at Vegas Chatter). Next up William Hill will be a part of the soon-to-be-opened Downtown Grand. …The new sports book will have a William Hill storefront and dedicated entrance on Downtown3rd, with an outdoor look similar to William Hill’s 2,400 betting shops in the UK. William Hill is an independent sportsbook operator similar to Cantor Gaming. 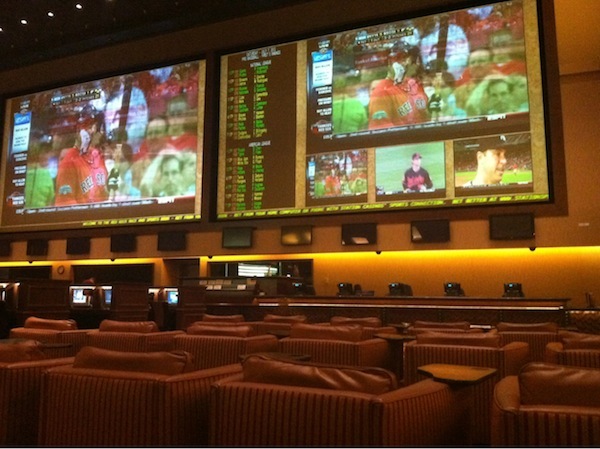 They operate sportsbooks at quite a few casinos in Las Vegas and all of Nevada. In addition they have sports betting kiosks in a variety of bars across the state along with an easy to use app. 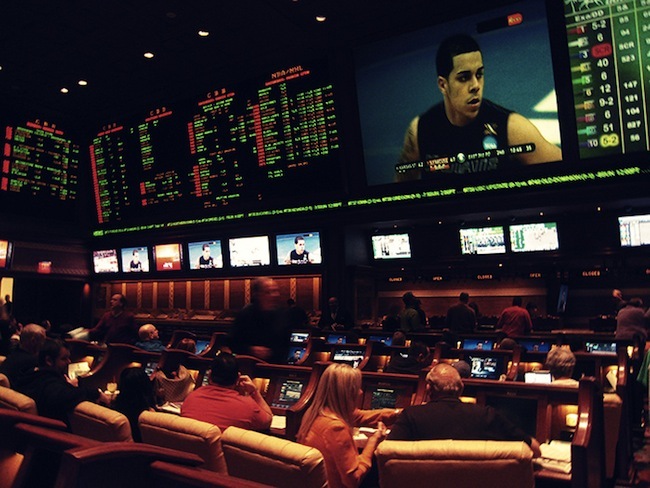 They can essentially facilitate sports betting anywhere it’s legal. While Cantor Gaming targets the high-end customer William Hill is more focused on the every day gambler. Neither approach is right or wrong – it’s just different. If you like free drinks, head to a William Hill sportsbook. 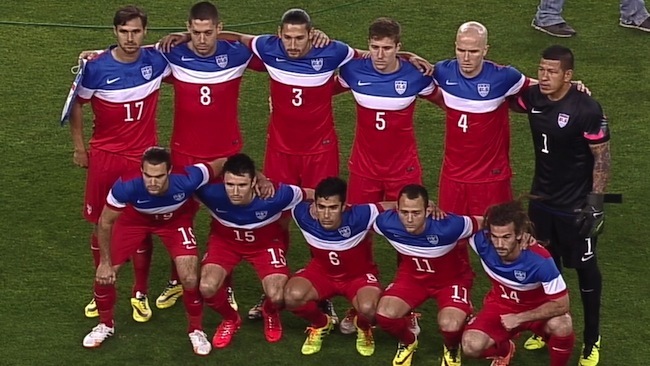 If you want to bet 5 figures, you can head to a Cantor Gaming sportsbook. Downtown Grand seems as if it will be an awesome casino once it opens. 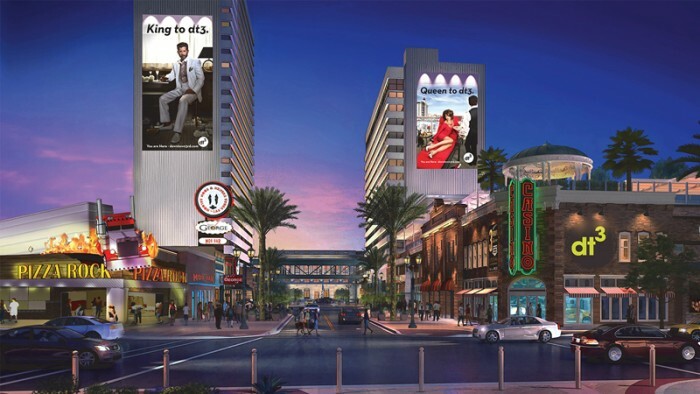 Besides this announcement and outdoor gaming everything inside the casino and hotel seem like it will be a great addition to downtown Vegas. UPDATE: I forgot to mention that sports betting (kiosk & sportsbook) at Four Queens, Golden Gate and Binions in Downtown Vegas is also done with William Hill. Those casinos just have kiosks, not actual sportsbooks.